Our weekly round up of five musical offerings to fill your collections with. Available from Amazon, Juno or Norman Records + numerous other nice retailers. 3. Gorgon Sound / Dubkasm : Find Jah Way 12"
We previously had this as our release of the day a month or so back when the first press dropped, that was quickly snapped up so Peng Sound records have repressed this killer 12"
If you want an education in early underground UK house and acid house then look no further than this compilation on Strut. Classics,,real classics not just that word that's often used nowadays. 5. 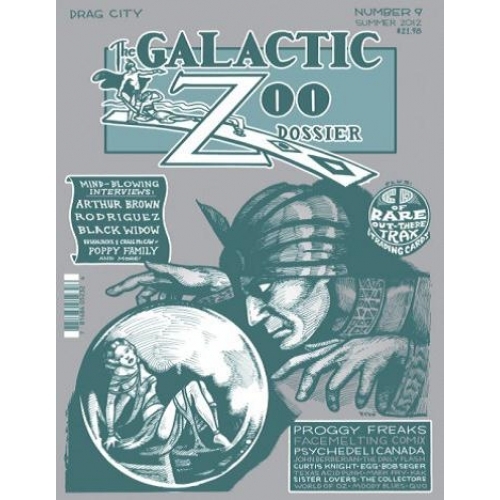 Galactic Zoo Dossier #9 : Magazine + CD. After a 3 year hiatus, the US magazine Galactic Zoo Dossier is back with over 100 pages on overlooked freak rock bands, heady comics & populist pop-psych.